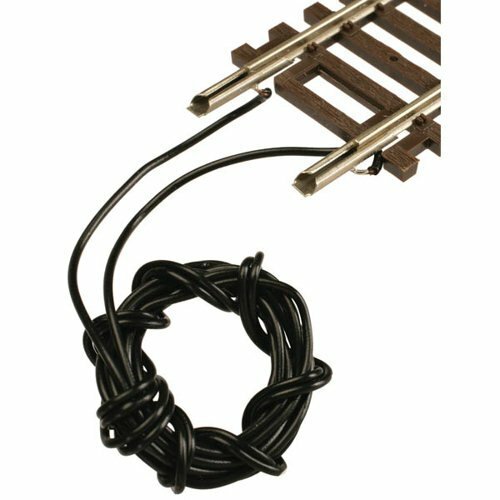 Like all Atlas model railroad products, True-Track adheres to high quality, prototypical standards that the hobby world demands. The result is a roadbed track with true-to-prototype gray, graveled roadbed, a correctly angled roadbed shoulder and Code 83 track. The end result looks every bit like real track with roadbed and ballast.br br There is no roadbed track that can match up to the scale-model quality and versatility of Atlas True-Track. It is easy to assemble and affordably priced, making it a true hobby track system, created for the novice modeler looking not only for realistic appearance but unparalleled performance in a ready-to-run roadbed track.br br True-Track features Atlas world-renowned Snap-Track that has been setting the standard for HO track for over 45 years. Each piece of Snap-Track can be removed and used seperately if desired.